It can be a daily feud every time you try to get your kids to brush their teeth. Are you tired of fussing with your kids to clean their teeth? Read on! It’s important to your little one’s smile to have healthy, bright teeth. So, it’s also important that you and your child don’t feel like it’s a chore to brush their teeth a couple times a day. 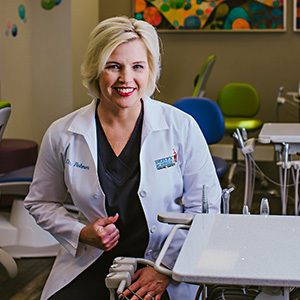 That’s why your pediatric dentist in Birmingham, Dr. Angelica Rohner, wanted to share with you some helpful tips for better teeth brushing with your younger kids. 1. Don’t treat brushing you or your kid’s teeth like a chore. If your kids see you dreading your own dental routine, what makes you think that they won’t copy your habits? It’s helpful to make your brushing routine something special. One of the best tips for better teeth brushing, especially for younger kids, is to make this activity something they can look forward to rather than avoid. Consider letting your kids pick out their own toothbrushes and choose the flavored toothpaste they want- and find ways to make the routine fun. 2. Turn their dental routine into a game. Give a younger child a toothbrush to examine and play with before you start. Let him practice good brushing habits by brushing their favorite toy’s teeth while you work on theirs. Let the child brush your teeth. It’ll help your kids feel helpful and like a grown up by brushing mommy or daddy’s teeth. Become their personal cheerleaders! Even if you’re cheering them on tooth by tooth, your little one’s will feel encouraged to keep going and not give up on their dental routine. Download a fun app. In the digital age that we live in, there are apps for everything- including tooth brushing. You can play a fun song for the full duration of their teeth brushing and add some flare to their dental routine. 3. Reward good dental habits. Some children don’t always respond well to the two tips listed above. Encouraging them may not do the trick, so try rewarding them for great dental care habits. . If you offer an allowance for daily chores, consider adding a little something to the weekly amount for tooth brushing with no complaints or arguments. Or, keep track of their progress on a sticker board and offer a fun day at a local park or museum when they reach their goals. You can also offer a small prize like a sticker, a small book, or a cheap toy from the dollar store every week if they do a good job with their teeth. Positive, consistent reinforcement is best when it comes to instilling good brushing habits. Need help with your child’s dental routine? Contact Dr. Rohner’s pediatric office. Brushing teeth can be a hard habit to get to stick for your children, but we’re here to help. 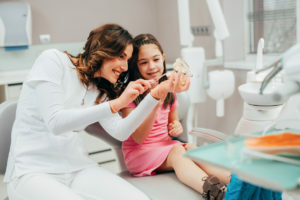 When you choose to take your child to visit Dr. Rohner, not only will their teeth be professionally cleaned and examined, but we can also discuss more helpful ideas with you for home care. Contact us today to schedule your next appointment with your children’s dentist in Birmingham!